Sounds like an interesting combination? It is. As you may or may not know, I don't really like white chocolate. However, Room for Dessert is slowly changing my opinion of the stuff. I will never be a die-hard white chocolate fan, but I won't be avoiding a tasty-sounding dessert that, to my former dismay, contains white chocolate. I cut down on the steeping time because I wanted a milder ginger flavor, partially because I wanted other members of my household to actually eat it and partially because I was short on time. Honestly though, I think the ginger flavor may have been overwhelming had I steeped the milk for a full hour. Good thing I altered it, or I would have had an entire tub of this all to myself. My favorite part of this ice cream was definitely the chocolate covered peanuts. I used salted peanuts, as opposed to raw peanuts, and toasted them on the stove instead of roasting them in the oven. I could eat these nuts all on their own, but they do add a little flair to the ice cream that would have been lacking otherwise. I would not advise serving this ice cream to the faint of heart, as it is a bit spicy. 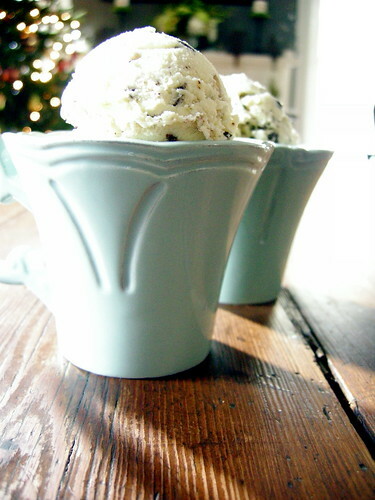 I also would not dish up a bowl to a strictly-vanilla kind of eater. 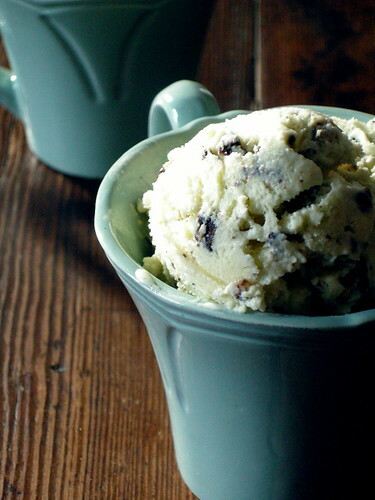 If you do have adventurous friends, this ice cream might just be for you. Cover ginger with water in a saucepan and bring to boil and cook for 2 minutes. Drain away the water, leaving blanched ginger in pan. Add sugar, milk, and 1 cup heavy cream and heat mixture until it begins to simmer. Remove from heat, cover, and steep for at least an hour. Chop white chocolate and put in a large bowl. In a separate bowl whisk together egg yolks, then gradually add some of the ginger-infused cream mixture, whisking constantly. Pour warmed egg yolks back into saucepan. Cook over low heat, stirring constantly until the custard thickens and coats the back of a spoon. Strain custard into white chocolate and stir until chocolate is completely melted. Add remaining cup of heavy cream and chill thoroughly. Melt chocolate in a clean, dry bowl set over a pot of simmering water. Cover a baking sheet with parchment paper. 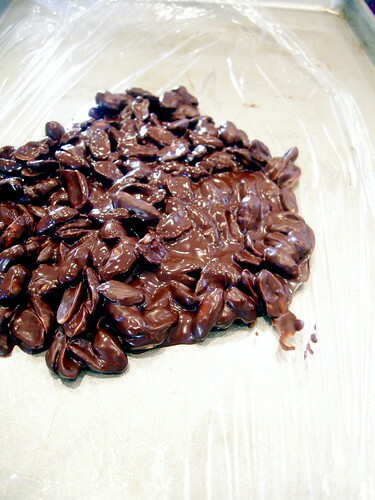 Once chocolate has melted, add peanuts and stir until they are completely coated; spread on baking sheet. Chop into bite-sized pieces once they've hardened. 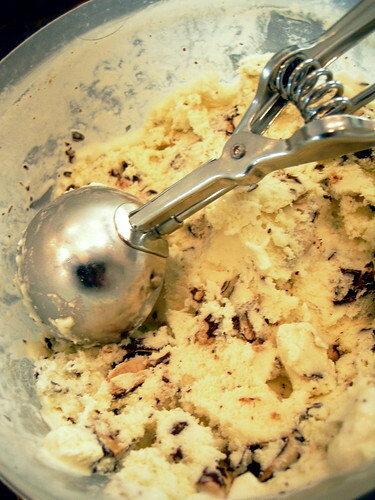 Freeze custard in an ice cream maker and fold in chocolate-covered peanuts. Hayley Esther Daen. You have my number. Now why on Earth would you not call me over for any of these glorius occasions? This sounds incredible, even in the cold outside. If I never get a call from you this break, I am afraid I will have to consider our friendship null and void.